Beardies rarely fall terminally ill but we want you to know you are covered in the rare case this happens. 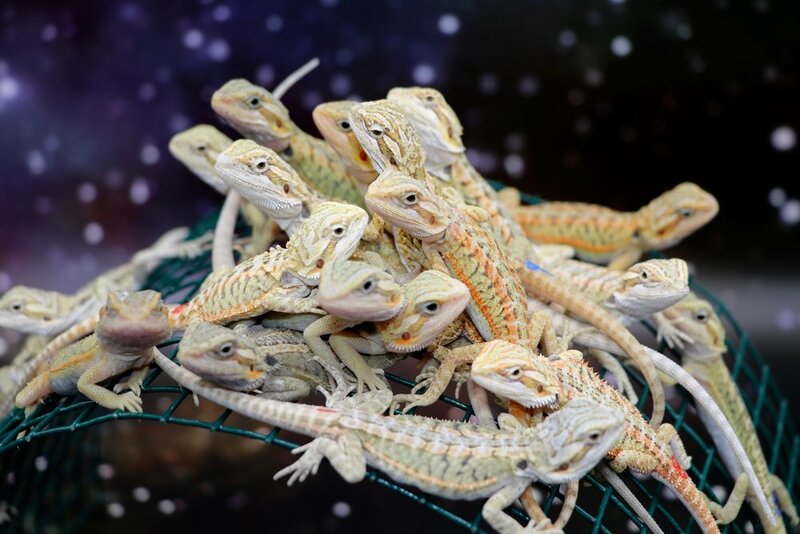 As a 7th Galaxy Dragon owner, you are always welcome and encouraged to ask us any questions at any time regarding the care and husbandry of your dragon. If your dragon appears to be declining in health in any way within the first 30 days of purchase its important you contact us immediately so we can try our best to help figure out whats going on. If the dragon's health does not improve after several days we will offer an exchange for a new beardie. All sales are final. As long as you follow our basic guidelines for nurturing your bearded dragon, your beardie should live a long healthy life. A healthy dragon may get impacted, constipated, or contract parasites. All of these common symptoms can be treated by your local reptile vet. If a more serious matter comes about please contact us so we can help in any way.